One of my very first films, I recently scanned it. 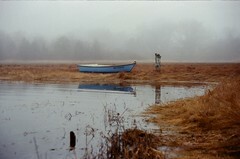 Taken at a foogy morning at Barnstable (Ma. USA )'s marshes .